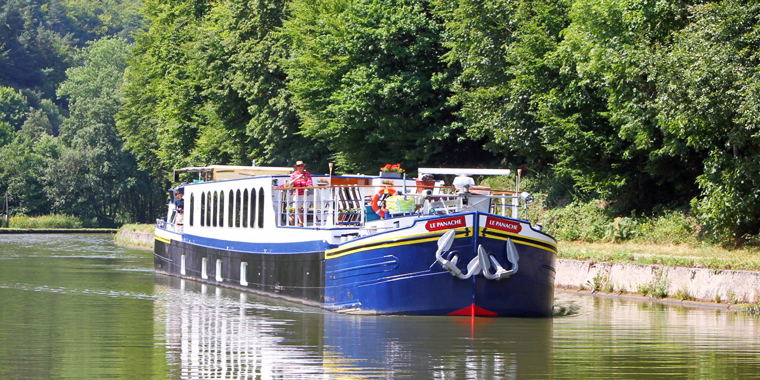 European Waterways, Europe’s largest luxury hotel barge cruising company, has announced savings on some remaining 2016 departures across its luxury fleet operating in France.Participating hotel barges include L’Art de Vivre and La Belle Epoque, cruising through the Burgundy region; and Anjodi and Clair de Lune, traversing the Canal du Midi. These four barges are offering up to £1,200 off per cabin, based on double occupancy; with L’Art de Vivre and Anjodi also offering £5,000 off the whole boat charter price and Clair de Lune£3,750 off a whole boat charter on selected departures. The savings represent great value during the regions’ popular wine harvest season. Among the highlights of a Canal du Midi cruise is a visit to the ancient town of Carcassonne, a fortified citadel and UNESCO World Heritage Site famous for its fortifications interspersed by 52 towers. The lavishly-appointed hotel barges are ideal for slow-paced cruising through the rural landscapes of France, giving guests the opportunity to immerse themselves in the Autumnal beauty, culture, and gastronomy of the regions. With £1,200 off per cabin on the Anjodj departures, the fully-crewed, 6-night itinerary, based on double occupancy, now costs from £2,650 per person. Ideal for families and small groups,Anjodi is also offering £5,000 off full-boat charters. Prices now from £16,800 for a charter of eight. European Waterways is also offering a free hotel night – subject to availability – with new bookings for 2016 cruise departures on selected luxury hotel barges in France. The hotel stay includes breakfast, can be used either pre-or post-cruise, and is combinable with any other current European Waterways’ offer. Departures on Anjodi and Clair de Lune on the Canal du Midi in Southwest France earn a free night in a Comfort Suite at the Clarion Suites Hotel in Narbonne. A free night in a St. Honoréroom at the Hotel Westminster in central Paris is available with all remaining departures on La Belle Epoque and L’Art de Vivre in Burgundy. Booking deposits must be made by September 30, 2016 to be eligible for this offer. On each hotel barge there is an attentive crew that includes an English-speaking guide, master chef, hostesses and an experienced captain. Included in the cruise fare, guests enjoy accommodation, daily gourmet meals, fine wines, an open bar, spacious sun decks with spa pools, bicycles for independent exploration and daily escorted excursions including wine tastings.